Will double glazing really improve your house’s value? 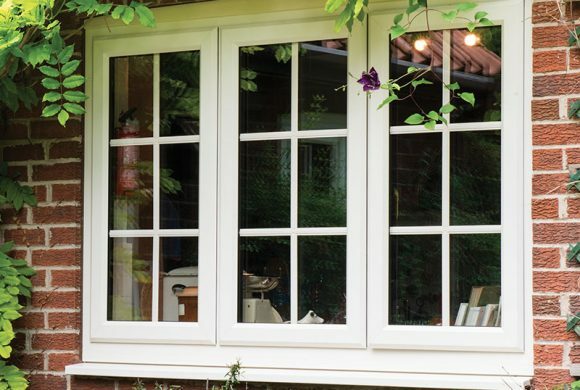 Double glazing is one of the most popular home-improvement solutions in the UK. Homeowners regularly choose to upgrade single glazing to double with the idea that it’ll benefit their home. But does it really improve the value of your house? Let’s take a closer look and find out. By enhancing your home’s energy efficiency, double glazing offers the potential to save significant amounts on your energy bills – the Energy Saving Trust highlights that A rated windows on a semi-detached property can save between £65-£70 a year. Not only that, your home will feel instantly warmer and quieter, whilst cold spots and draughts by the windows will become a thing of the past. A more comfortable and energy efficient home is a more attractive prospect to potential buyers, particularly in light of rising energy costs. Associated Windows supplies double glazed windows with a Window Energy Rating (WER) of A as standard. Will double glazing increase your house’s value? At the risk of oversimplifying, the answer to this is yes. This has been backed up by empirical research conducted by the University of Cambridge. This study found that dwellings with an Energy Performance Certificate (EPC) of F and E sold for approximately 6% more than dwellings with an EPC of G. It also found that dwellings rated D sold for 8% more, dwellings rated EPC band C for 10% and those with A/ B sold for 14% more than the poorest-rated dwellings. Because double glazing increases a property’s energy efficiency and allows it to fall into a higher EPC band, it, therefore, has a positive impact on the sale value of a home. Energy Performance Certificates (EPCs) are a form of guide to would-be buyers or tenants looking at a property. They outline information on a property’s energy efficiency, as well as the estimated costs to run that property. The energy efficiency section is graded from A-G, with A being the highest rating and G the lowest. They’ve been a legal requirement since 2008. If you’re looking to sell or rent out your property, you’ll need to order one before the property goes on the market. Aside from adding value by increasing energy efficiency, double glazed windows can dramatically improve the visual appeal of your home. They’re available in a plethora of colours and window styles, so when replacing any old, dilapidated windows on your property, you can expect your home to appear considerably more stylish afterwards. Interested in double glazing Bristol? Contact Associated Windows today and let us improve the value of your home.